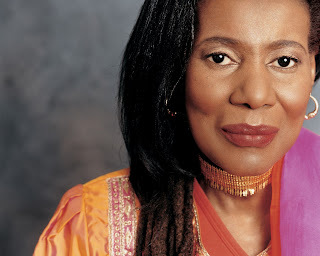 I first heard the music of Alice Coltrane when I was a student, doing my homework by the radio; she had recorded several times before and I had certainly heard the music of her (by then) late husband, saxophonist John Coltrane, but until I heard her album Eternity I had no idea what Alice did. As varied and impressive as the music was - from the Afro-Cuban percussion propelling Los Caballos, Coltrane's musical tribute to the elegance and playfulness of a horse's movements, to Spring Rounds, her orchestral version of Igor Stravinsky's Rite of Spring with shimmering washes of harmony - nothing affected me like the opening piece Spiritual Eternal. Here Coltrane plays the Wurlitzer organ, an instrument that, until she adopted it, got even less respect from jazz musicians than the Hammond B-3 does. The music begins with a series of modal arpeggios that move seemingly at random until they are resolved by a large orchestral entrance whereupon they all join in playing a jazz waltz. No Dixieland band this, the orchestra's blend of brass and strings takes some inspiration from the Society Orchestra of James Reese Europe (1891-1919), the man Eubie Blake christened "the Martin Luther King of jazz." 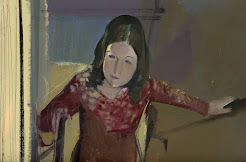 Coltrane's solo playing soars with the jagged drive of bebop, a music she heard growing up in Detroit, deployed in her quest to make universal music, along the way incorporating Indian classical raga, blues, and the occasional Viennese twelve-tone row. This is definitely not dance music but by the time the last glorious long-drawn out note fades, I am never sitting, I am standing in awe and joy. I never wanted to miss the Wednesday evening program on WAER-FM, the Syracuse University radio station. Hosted by a woman, something unusual in 1976, the hour was crammed with music I still love: harpist Dorothy Ashby, (heard on Stevie Wonder's Songs In The Key Of Life), pianist and composer Jessica Williams (then in her San Francisco phase recording as Jessica Jennifer Williams), and vocalists Esther Satterfield (The Land Of Make Believe with Chuck Mangione) and from Brazil, Flora Purim (Open Your Eyes, You Can Fly, Nothing Will Be As It Was Tomorrow). From Spiritual Eternal, I worked my way backward to Alice Coltrane's first recording as a leader, A Monastic Trio (1968) and the transcendental Journey In Satchidananda (1970), discovering along the way her other instruments, the harp played with feather-weight glissandi (remember those arpeggios), so different from the strong and straight melodic lines of Dorothy Ashby, and the piano. Coltrane, I learned, had replaced the titanic McCoy Tyner in John Coltrane's quartet the year before his death, something that certain Coltrane fans equated with the snake in the garden. For this, and for her experiments with the note-bending capabilities of modular synthesizers, she remained outside the jazz mainstream for the rest of her life. That Alice Coltrane needed to become a leader in order to have a group to play with after her husband's death in 1967, seemed unworthy of comment at the time. It makes me think of an exchange between contemporary trio leader Michele Rosewoman and an unnamed male musician who, when he asked her "What's with this all-woman thing?" as her group was setting up for a performance, Rosewoman turned and gestured toward his band with the reply "What's with this all-man thing?". A strong spiritual element of one sort or another had been in Alice's musical life from childhood. Born Alice McLeod in Alabama in 1937, she joined her mother in playing pinao and organ for their church choir after the family moved to Detroit. At the same time, Alice played jazz dates in local clubs. Sister Marilyn McLeod became a songwriter for Motown Records; her hits have included Love Hangover for Diana Ross and Same Ole' Love for Anita Baker. When Alice met John Coltrane, the two joined together in searching for transcendence in non-Western religious books such as the Quran, the Bhagavad Gita, and in writings on Zen Buddhism. Alice would ultimately find a home in Hinduism and founded a Vedantic Ccnter in California, where she lived until her death in 2007. Musicians Herbie Hancock and Sun Ra pursued a similar quest for a system of belief that could free black people from the oppression they were subjected to in America. This is what Su Ra meant when he declared, "Space is the place." After 1978, and the move to Los Angeles, Alice Coltrane seldom recorded but, thanks to the encouragement of her son, saxophonist Ravi Coltrane, she recorded one final album, Transilinear Light. Listen to Alice Coltrane - Spiritual Eternal from Eternity, 1976. 1, unidentified photographer - Alice Coltrane, from Journey In Satchidananda, 1970, Impulse Records. 2. Jeff Dunas, photographer - Alice Coltrane, from Translinear Light, 2004, Impulse Records. O! thank you for this ... I'm off to explore! 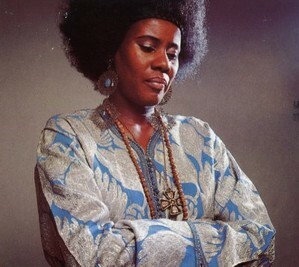 The (female) programmer who played Alice Coltrane also had her own moving company - she called it Mother Truckers. They moved my apartment twice. She added so much wonderful music to the airwaves. Susie did. When I got the chance to be on the air, I tried to emulate her; Susie was the first female jazz dj I ever heard.